The schedule shows you have an event coming up we wish you luck and safety. The CMSA office would like to update you on a few items. The Official CMSA Automation System is now available to all CMSA Affiliated Clubs. If you do not already have the new Automation System, simply call the office at 1-888-960-0003 and we will walk you through how to install it on your computer. Once installed, you will have full access to extensive training videos to walk you through how to score a match using the program. It's simple, fast, and most importantly, easy! 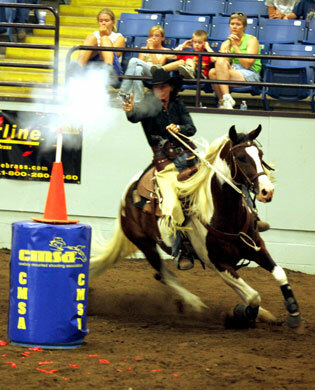 When contestants pre-register online for your event, it will automatically place those riders into the program when you set up your event. You won't have to scramble the day of the event to get all of those people entered in. When someone shows up to register the day of your shoot, all you need to do is imput their CMSA number. The system can also look up any member who may have forgotten their number. The new Automation Software is in place to help you - the club hosting the event. It will make pre and post event housekeeping much faster and easier, and within minutes of your match ending you can start cutting checks to your contestants; the payback will be calculated automatically for you. The software will also prevent errors. When you submit your results to CMSA (which only takes about 30 seconds after the match is over) you can be assured that all of your results are correct. Lastly, the software will make it easy to keep records of all of your shoots. You can print reports of your results or save them in .pdf format to be placed easily on your club's website. What if one of your members wants to see how he did compared to others in his class? Easy. The software makes that data readily accessible. We hope you will utilize the new scoring software that the CMSA has developed. Please don't hesitate to call and ask how to get your club set up to use it. Please Send Your Results on Monday. DO NOT USE any spreadsheet previously provided. Please do not use the one on the Club CD! I apologize for the hassle, but please load this one and delete all others. Here are some tips to make it easier for you and the CMSA office. Please rename the file for each day's event as follows – this is a HUGE help! Club code+date+# of points – so an Arizona CMSA event would be AZ2022809x2 (for double points – x1 for single) –now when you save it, you know exactly when that event took place and we do too. Sending a file that says ‘Frozen Toes Saturday' creates more work researching who, what where. And on your end, 3-5 years from today you won't know which shoot happened when either if you use a name. Verify name and number on cards! INSIST that members show their cards at check-in! It is a rule! And will avoid most name and number errors! Please send your match results on monday. The new points page and website are being built to operate in real time. When your events results are uploaded they go immediately to the website – no delay. It also allows us to get new cards in the mail Tuesday instead of Wednesday or Thursday. If you sign new members up at the event who compete- please list them on the spreadsheet as a T-1, T-2, T-3 etc. depending up on how many you have. If they ran as T-1 on the first day of a two day shoot, please make them T-1 on the second day. All Temporary's get designated by class 1, L1, S1, SL1 or Wrangler. Also with Temporary members please send with the emailed results the all T-members contact info – We need this to accurately process all new members and get their cards to them faster. If we get this info on Monday with your results in most cases they will have their card mailed no later than Wednesday! Thank you so much, each and every club president and secretary. You have all been great and the office staff and I stand by ready to help in any way we can. The Match Director is the single representative of a hosting club or association, responsible for all facets of a CMSA match. There is a tremendous amount of work that goes into a WPQ, State or Regional match. His/her job starts well before the match begins. This guide can be used as a checklist for Match Directors. Most clubs or associations schedule a number of matches during a calendar year. For the purpose of ease we will follow one match from beginning to end in this guide. Clubs/associations may have one Match Director or may assign a different individual for each match. As an Affiliated Club, you may order products from the CMSAGear.com website and pay for them after your match. In other words, you may order balloons, ammo, buckles, timers, or other prizes and send the payment in with your match results. 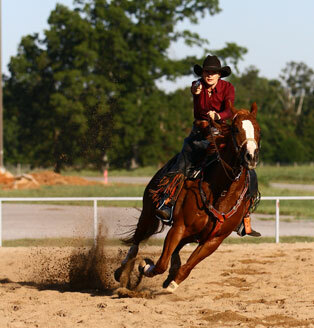 When your Affiliation is approved, you will receive an electronic link with everything you need to produce a mounted shooting event: promotional videos, training videos, scoring software, etc. The cost of club affiliation is $250 per competition season. Please contact the office for the club application. 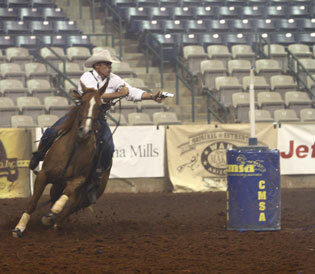 CMSA Clubs are covered by CMSA's $1,000,000 general spectator liability insurance policy. If additional insurance is needed, please contact the insurance company for details. An Affiliated Club may host an unlimited number of World Point Qualifying matches (WPQ) and/or Double World Point Qualifying matches (DWPQ). Affiliated clubs agree to follow CMSA rules. Affiliated clubs must provide a schedule of match dates to CMSA which will be published on the CMSA website. It is important to get the match schedule out as early as possible. This allows participants plenty of time to schedule your match on their calendar. It is also helpful to work with clubs in your region or area to avoid doubling up on dates and make your shoots complementary to each other. No other CMSA Point matches shall be held on the same days, in the same state, as a State Championship. No other CMSA Point matches shall be held on the same days, in the same Region, as a Regional Championship. The CMSA World and National Championships shall be stand-alone events and no other matches shall be scheduled these dates. No other CMSA matches shall be scheduled within a 750 mile radius of the location of and on the same day as a CMSA Championship event. A club may petition to have a match with fewer stages than required by the rulebook. This petition must be approved by the CMSA Office and must have a significant reason for the request. As our sport has grown, we have more members traveling now than ever before. To ensure our members a quality match the following guidelines have been established. No, these guidelines are not mandatory, but should be used as a goal to insure a first-rate match as well as satisfied contestants. After all, what you are looking for is repeat contestants, and that equals growth. Check the web site or call the CMSA office to see which state club has the first option to hold either a Regional or State Championship. If they decide not to host the Championship the option goes to the next highest ranked club. Should be held by an established club with at least two years experience of hosting matches. Should be accustomed to holding matches of 50 plus shooters. Should be willing to work with other clubs in the state or region to make a joint effort of the match. NAB Members should assist in match. Where should the match be held? Held centrally in the state or region. Tourist areas are nice. Should be held when climate conditions are at their best. Not too hot, not too cold. Arena locations will play a big part in your final pick. Covered arena's take Mother Nature out of the picture and ensures your contestants they will be shooting in good conditions. If you use a covered arena advertise as such. Minimum size: 100 feet wide by 300 feet long. Should have equipment to work the arena, such as tractor, etc. Stalls or pens to accommodate your contestant's animals. Contestants tend to be very concerned about the comfort of their animals when expecting them to be so highly competitive. 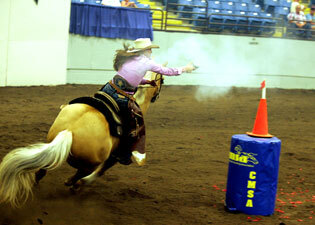 If outdoors and it is dry, make arrangements for watering the arena. Have a concession stand available. Make sure you have adequate bathrooms. It is always nice to have showers if you are having a two or three day match. Timing system: Two; with one serving as a back up system. Scoring system: One computer and one dry copy by hand. Announcer who knows our sport. Gate personnel to keep the flow going. No one likes dead time. To keep the match running smoothly you should average 60 sec. between shooters. Make sure your announcer and gate personnel are aware of this goal. Have someone check to keep you on schedule. Ammo should be of the highest quality you can get. Certified is a must. Place your armory in the flow of the entry gate so no dead time is created. The unloading area should be situated so it doesn't block the exit area of the arena. Have plenty of balloon runners and inflators. Set stages up to eliminate procedurals. You should use experienced people. By following the above guidelines, you should be ensured of a great State or Regional Match. Once you have a date for your match submitted to CMSA it is time to approach businesses or other organizations for award monies and prizes. You need a lot of time to develop this which is why scheduling early is so important. Get into the area where the match is being held. 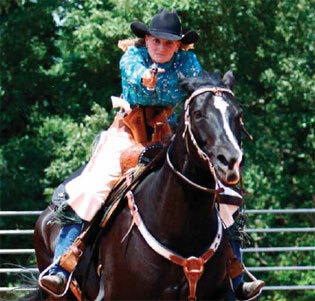 Surrounding tack shops, feed mills and equine supply stores are a good place to start. Do not limit yourself strictly to horse related businesses however. They are plenty of opportunities to gain sponsorship in an area. Use your imagination. This is a sport that sells itself; explain what you are doing and how many people are attending. You should physically check out the host arena 45 days before your match. Confirm the cost of arena rent for your event (check your contract if you have one), but make sure to make contact with the owner/manager. Check to see if there are adequate restroom facilities; are there functional restrooms and are they located conveniently for campers and riders or do you need to supplement with portable toilets? Is there a food stand? Is there a cost for camping? Are electric hookups available? Cost? How about horse stalls? Electric hookups for trailers? Barrels for the stages? And MOST important; check out the arena. Is it big enough? Is there an area for the balloon setters to work safely? What about a staging area; entrance and exit gates? Announcer stand? Bleachers? Is the ground acceptable for the kind of running we do? Does the host arena have the means to drag the arena? 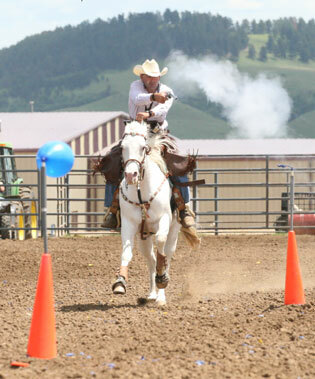 Cowboy mounted shooting has developed into a very competitive sport with contestants pushing themselves and their horses. Safety is always the first concern, so good ground is paramount to a good shoot. Most of this has already been done before scheduling, however conditions can change and it is important to follow up 45 days prior to the match. Most clubs use balloon setters as a way to keep the match moving. In the case of large shoots, balloon setters are mandatory in order to get the stages done in a timely fashion. It is easiest to find balloon setters in the area of the shoot. Local 4-H clubs, youth riding clubs, church groups, and youth baseball or football teams or other school clubs (check with the local schools) work great. 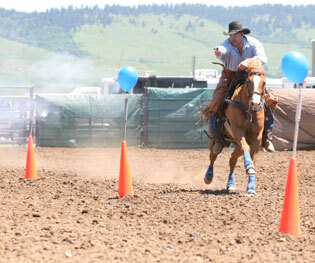 These groups use balloon setting as a fund-raiser to provide equipment for their organization. (You should make it known immediately that there is no live ammo used at these shoots and that there is no projectile. Some clubs do not like children around guns, which is something we work to dispel.) If the host arena does not offer a food stand this may be another opportunity for the club to raise funds by running the food stand as well. It is important that the youth group realizes that setting balloons for a CMSA match can be a very athletic job and it is necessary to have a good number of setters properly dressed (running shoes for sand, no sandals). A typical time from beginning to the next participant is about 75 seconds, which means every 75 seconds they are responsible for removing deflated balloons, placing new balloons, and blowing up 10 balloons. 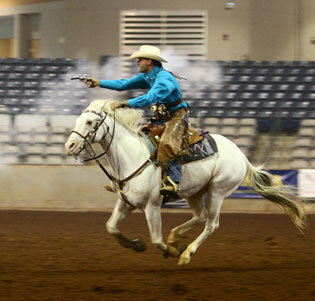 All in a 200 by 150 foot arena. That's a lot of running, so don't sugarcoat it. These kids will be earning their money. It is helpful if you plan to supply a tent for shade, cold drinks and plan on buying a minimum of 1 lunch for each balloon setter. Often it works well to have more than one spot for the balloons setters to work or enter from. 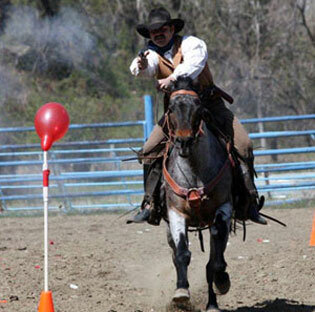 This may shorten the distance they have to run to reset the balloons thereby saving time between shooters. Many clubs use volunteers for these jobs but it is good to confirm who will be doing what long before the match starts. It is important that you keep electronic (on the computer) and hard copy (handwritten) scores to ensure accuracy. CMSA provides software for timekeeping. You will also need to coordinate speakers systems, tables for the armorers, computers, and timers. Also who is bringing the cones, barrels, balloon inflators, and any other equipment you deem necessary to run a match. You must use certified ammo for a CMSA match. There is a list of suppliers on the CMSA website. Most suppliers need a minimum of 30 days to complete an order, so be thinking ahead. Estimate how many shooters you think will be attending, multiply that by the number of stages you will be hosting. Then add ten percent. That's the amount of ammo you will need for this match. You will need the same amount of balloons. It is important to get all the details of the shoot out to the potential participants as early as possible. This is done on the CMSA website as soon as you submit the schedule. It is also helpful to send out e-mails or hard copy letters reminding shooters of the up-coming match. For bigger matches radio and television media coverage may be used. Generic press releases are available on your Club CD. Flyers posted at neighborhood feed stores and tack shops. 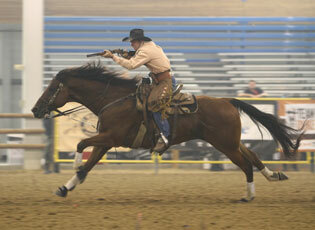 The more people exposed to cowboy mounted shooting the more successful your match will be. Decide what you need for awards, making sure you cover every level that will be participating. 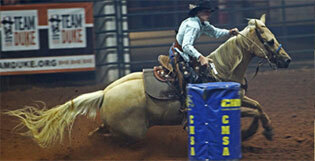 Some matches require buckles so be sure and check with CMSA. Regional Championships require 2 buckles purchased through CMSA. Allow 5 weeks for buckles to be produced. Allow 5 weeks for buckles to be produced. It is recommended that State and Regional Matches award buckles to all class winners. Also some clubs award money as prizes and there are formulas the Match Director can use to set this up, such as the Circuit System and 3-D Jackpots (available from the CMSA office). The awards should be confirmed before the shoot so they can be announced. This should be part of any flyer sent out to encourage participants. Participants like to know what prize structure will be. Once you have all the components of the shoot in place it is time to develop a budget for the shoot. You will need this to generate a registration form. It is important to include all your costs for this shoot in the budget. Everyone tries to keep the costs down, however you cannot operate a club and lose money on your shoot. The way to develop this budget is estimate how many shooters will be participating and break down your costs per shooter. Then you will know what you need to charge as an entry fee. Once you have determined your costs you can price the entry fee. In this case the entry fee would be a minimum of $60.00. This gives you a 20% overage, which can be applied to annual costs and money for year-end prizes. Some clubs operate as non-profit organizations and this money can be donated to a charity as well. You must arrange to have individuals take registration forms. Some of this may be done in advance via mail-in registrations. On the evening before and the day of the event you must assign someone to be responsible for the registration. This will require an organized individual(s) used to handling money. Some cash should be kept on hand to make change. Each contestants CMSA cardholder's competition card MUST be checked to confirm their Class and CMSA number as they register. In the event that someone says they have changed levels and not received their new card, you should have a copy of the recent standings on hand available by printing them off of the CMSA website. CMSA updates standings every Thursday and all changes would be reflected in the point's section. This information should be turned over to the timekeeper/computer person to enter into the CMSA electronic form. The entry form needs some basic information from the riders. 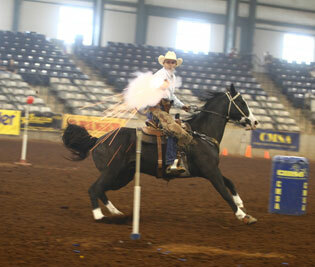 CMSA number and Class the participant is riding at are mandatory. Bio information for the announcer is helpful. 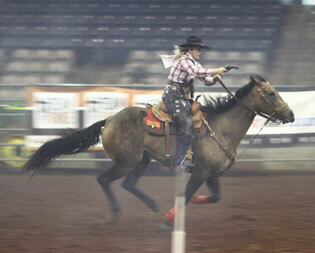 And a liability release form that the rider must sign before competing. An example of a generic entry form is on the next page. Your registration, timing and scoring people must read and understand the following 5 rules. An individual will only be considered a contestant in a match if he or she pays an entry fee and engages at least one stage of the match. You must use the CMSA Official Score sheet included on your Club CD for any CMSA sanctioned event. No other score sheet will be accepted. No handwritten sheets will be accepted. All cells in the CMSA Number column and the Class column MUST be filled in with the correct information. Time Only's are not allowed on CMSA Score sheets. To verify interim move-ups, print out the Certified Points page from the web site the day of the event. This page will also tell you how many qualifying wins each rider currently has towards his or her next move-up. In the event of a back-to-back WPQ, after the first day, you can move a competitor up for the next day of competition. Move-ups are not official until certified by the CMSA office. Results will be double checked (certified) by the CMSA office. 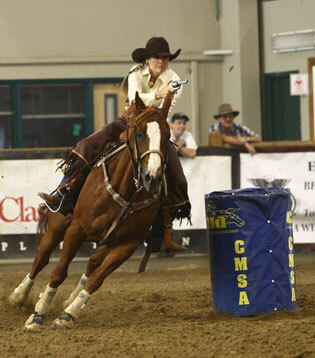 If a rider claims that his or her Class or Wins are incorrect have them contact the CMSA. Have them fill out a CMSA Cardholder application. Send his or her Cardholder fees with your results. 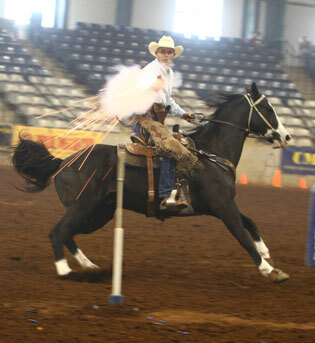 Adult Temporary Cardholders shall ride in Level 1 of their respective Class, except Wranglers who are designated WR in the Class field. A CMSA Competition Cardholder shall receive one point for each contestant he or she places above in the overall standing. If a Class 3 rider beats 3 other Class 3 riders, but one of their cards has expired, there is NO move-up. 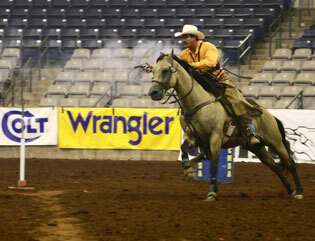 Wranglers are tracked in a separate World Points Series. A CMSA Cardholder will also receive one point for entering the match. If a person joins at a particular match, their points will count at that match and thereafter. Points shall not be awarded retroactively. Points will not be awarded until all event fees are paid to the CMSA office. Remit $5.00 per competitor for WPQ’s, Remit $10.00 per competitor for State Championships (triple points), & Regional Championships (quadruple points). Remit $10.00 per competitor for DWPQ’s (double points) Matches. The CMSA point fee shall be included in match entry fee and not added on as an additional fee. If using e-mail send the entire score sheet to results@cmsaevents.com. Include your club name, event date and event code. For example: AZ1021511 is correct, please do not use the event name. Match results for weekend events shall be submitted to the CMSA office (via results@cmsaevents.com) by 3:00 PM CST on the following Monday. All other results shall be submitted within 24 hours of the completion of the event. A late fee of $50.00 per day shall be charged to the host club if results are not submitted on time. Limiting the number of competitors who may enter a CMSA event shall be advertised 21 days in advance on the CMSA web site unless special dispensation has been granted by the CMSA. All events must be scheduled and submitted to the CMSA via the CMSA online scheduling interface at least 30 days prior to the event’s start date unless special dispensation has been granted by the CMSA. Although you are the Match Director, you do not need to do everything. DELEGATE responsibilities to other club directors and members. Most people want to help to feel part of the club and if everyone does something no one will be overworked. It will be a very long weekend if you don't. At the end of this guide there will be a match day checklist. Choose your Range Masters. These should be either CMSA certified Range Masters or individuals who are experienced in performing these duties. (Review the Range Masters Handbook). Make sure your support staff is ready: announcer, balloon setters, timekeeper, and armorers. You will need to randomly draw the courses of fire for the day, 50 numbered poker chips is one way of doing this. When drawing for stages, a club may eliminate any stage that the Range Master deems unsafe, and a stage the host club has run already that year. However, there must be a minimum of 20 stages at all times. After stages are drawn, meet with your Range Masters to discuss possible problems. This is a good time to form an Appeals Board, which should consist of 3 experienced shooters and one alternate familiar with the CMSA rules. Place the names of the Appeals Board in a sealed envelope. These shooters should not be acting as Range Masters at this match in order to remain non-biased. It is important that all of these things are done before the first shot is fired. Before the match starts you must give all the riders the rules for the weekend. This safety meeting sets the tone for the match and you can address any special circumstances you will encounter over the course of the match; an example would be your balloon setters are on the east side of the arena and your Range Masters will be directing gunfire away from them. Also, if you are going to be dragging the ground or racking it should be announced here at what intervals that will take place as to provide consistency and fairness. There is a safety-meeting checklist at the end of this guide to assist you. 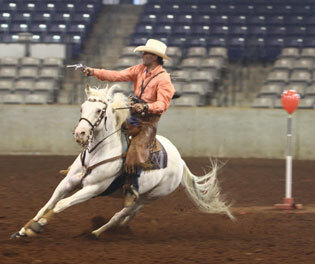 Once the safety meeting is completethe arena can be turned over tothe Range Master. If possible it is suggested that you, as Match Director, do not act as a Range Master. As Match Director you will need to be able to troubleshoot any problems that may arise. After completion of the match announce when the results will be posted and awards presented. The scores will need to be in the prescribed format for CMSA. These scores need to be sent within 48 hours of the completion of the match. In order to host a successful CMSA match, you, as Match Director you need to do your homework. There will always be minor problems that arise during the course of the match. If the preparation for the match is done, these problems are easy to fix. Remember to delegate responsibilities; you cannot do every aspect of the match. Your job is to make sure every aspect gets done in a professional manner. You are representing both your club or association and CMSA. There are checklists at the end of this guide, use them. 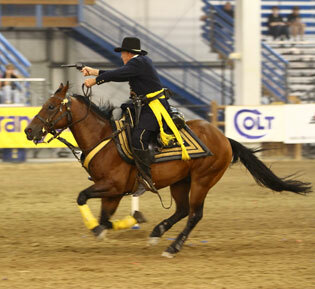 All contestants are responsible for their own personal safety and that of their horse. They should also remain alert for other unsafe conditions and/or unsafe conduct by others. 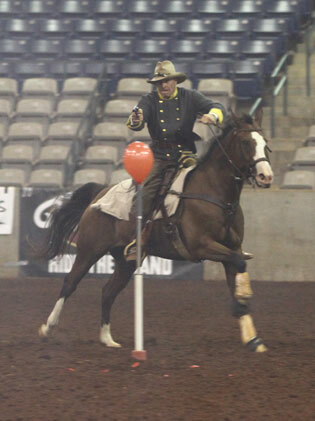 All contestants are considered line judges and should take immediate action to remedy an unsafe condition or confront anyone whose conduct is unsafe. All firearms shall be treated as if they are loaded. All loading and unloading of firearms should be done under the supervision of the designated armorer or line judge. 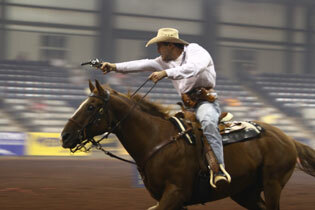 All firearms shall remain unloaded until the rider is called to the loading area. No firearm shall be cocked until immediately prior to engaging a target. Riders have final responsibility to make sure their firearms are loaded, check for missing or dented primers, cylinders rotate freely and to be certain they are properly indexed prior to stage engagement. The armorer is not responsible. 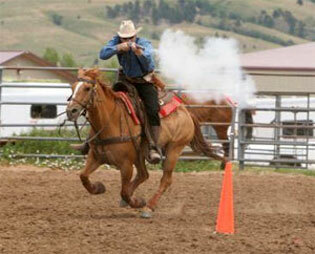 Competitors are expected to compete safely within their individual capabilities at all times. 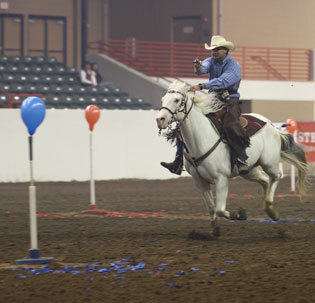 Do not try to "over ride" your own horsemanship skills. Control your firearm's muzzle direction at all times. All contestants shall be knowledgeable and proficient in the safe use of firearms. 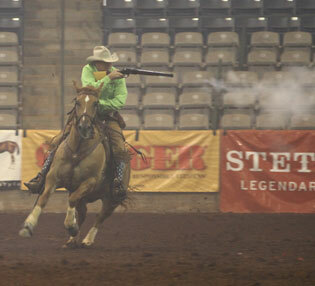 Mandatory New Shooter orientation and qualification rides shall be conducted PRIOR to competition. CMSA recommends the use of eye protection and ear protection at all CMSA sanctioned matches. As the national sanctioning body CMSA recommends that Cardholders support the NRA. 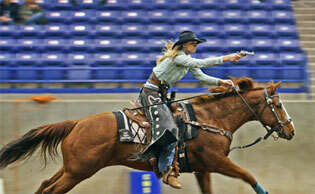 CMSA recommends the use of a Range Master and a Line Judge, either on foot or mounted, at all CMSA sanctioned events. CMSA further recommends Range Master and Line Judge should be over 18-years of age and a CMSA Certified Range Master. Parents or guardians of minors or their designate may be in the arena when they compete. 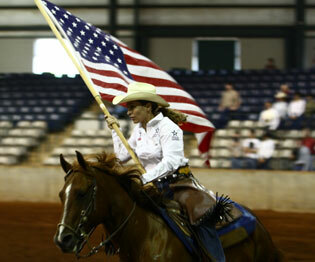 The rider assumes all responsibility for participation in these events. 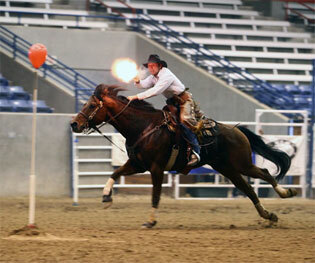 Deliberate gun twirling in an arena shall be a 5 second penalty. After completing the stage, the contestant shall immediately report to the armorer and unload both revolvers. 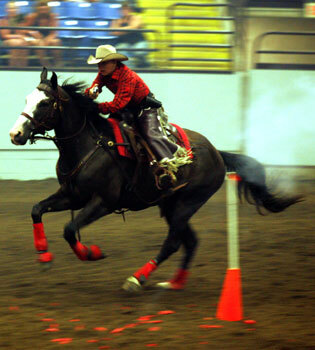 Important notice: Cowboy mounted shooting requires equestrian and shooting skills of an intermediate to advanced level.Persons unsure as to their own skill level should contact the CMSA about qualifications, practice and pre-match training clinics. Ammo and Balloons - confirm who has these and who is bringing them to the shoot. Registration Form and Promotion – make sure someone is circulating the correct form with prices, dates, times etc. Awards - make sure there is someone handling the awards. 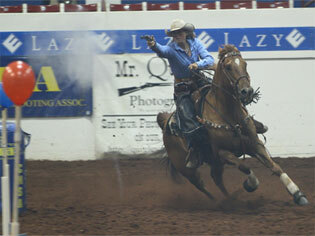 This includes ordering buckles, obtaining other prizes, figuring out cash payouts. Etc. Budget - ensure that the budget is being adhered to so that there are no surprises. Balloon inflators, pegs etc. Tent for balloon setters; refreshments for balloon setters. Ammo and Balloons - ensure that they are at the shoot; have someone get the balloons to the balloon setters; ammo should go on the Armorer's table. A tent should be put up over the Armorer's table. Draw Patterns - Patterns for that day only should be drawn just before the safety meeting in public. The pattern should not be set up until just prior to the first shot. 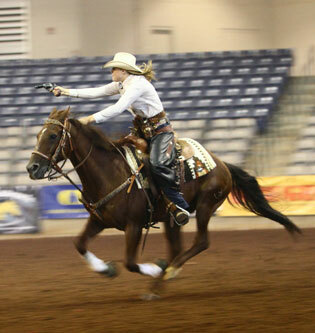 No individual should be allowed to walk or run the pattern on horseback prior to the shoot (not even to demonstrate the pattern). 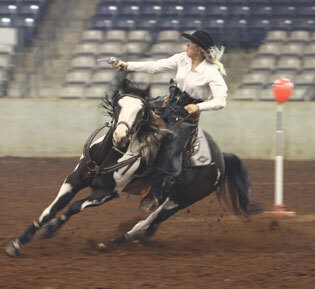 If warm up is allowed in the same arena as the shoot and the pattern is setup, riders should be instructed that they are not allowed to practice the pattern and they should stay to the outside rail. Safety meeting - assign someone to do the safety meeting. Make sure that all elements of safety are covered; loading, unloading, gun handling, what to do with unfired rounds, where to enter and exit, etc. You should especially pay attention to those items that are specific to your shoot. All of the other safety issues (listed above) should be covered also. Hand the arena over to your Range Masters. Once they take charge your job in the arena is over, unless someone requests that you convene the Appeals Board. If this occurs, find a private area away from contestants. You need to collect the $50 in cash. Then you chair the board although you have no voice on the outcome and should remain completely neutral. If the appeal is in favor of the contestant you should return the $50.00 they put up to convene the appeals board. After the match is concluded the announcer should notify all contestants when and where the awards are being presented. Your final responsibility as Match Director will be to insure that the results get turned in to CMSA within 48 hours after the completion of the match.